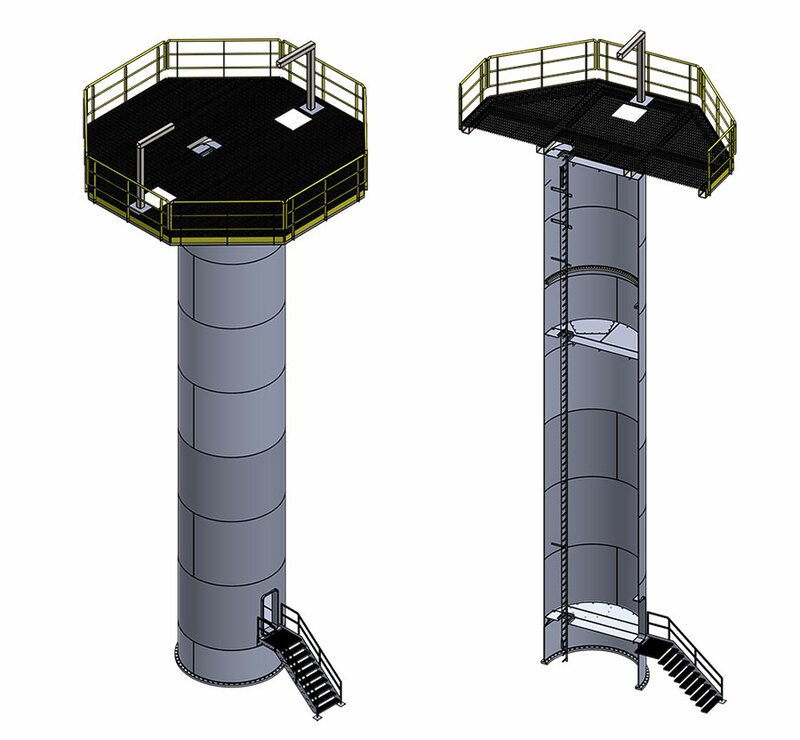 April 3, 2018 – Orlando, Florida: Aeolus Energy Group (AEG), a market leader in wind turbine maintenance and repair has awarded a contract to Ventower Industries for the fabrication of the training towers to be installed at its new offshore wind training facilities. “Our goal is to prepare an American workforce for the opportunities in offshore wind. AEG itself expects to add thousands of jobs of all kinds to our business in the coming years.” said Elia Golfin, CEO of AEG. With its initial training facility to be located in Massachusetts, AEG will assist in preparing a new workforce for constructing and maintaining offshore wind farms. The facilities will have all of the necessary equipment, such as access towers, pools and classrooms to train to Global Wind Organization (GWO) standards. GWO is a non-profit organization comprising many of the world’s largest wind turbine manufacturers and owners. To date, more than 53,000 wind turbine technicians have been trained according to the GWO Basic Safety Training (BST) Standard and Basic Technical Training (BTT) standards. “We look forward to working with the local community, veterans service organizations, unions, local colleges and universities even technical high schools to give students and workers a path to a career in offshore wind,” adds Golfin. It is expected that the initial AEG training facility will be constructed, staffed and ready to begin training workers by the spring of 2019.